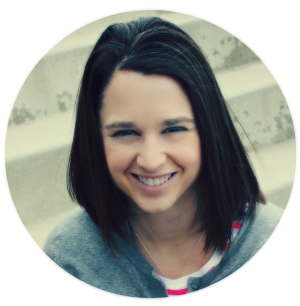 Hey, I'm Emily and I blog over at The Benson Street. I am so excited to be here partying with you at Ginger Snap Crafts!!! 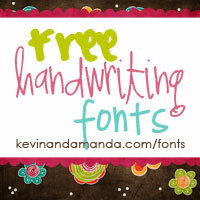 I have a great FREE printable to share with you today. Summer is in full swing and that means ROAD TRIPS. I love them. Except for when it gets boring about a half an hour into the drive. 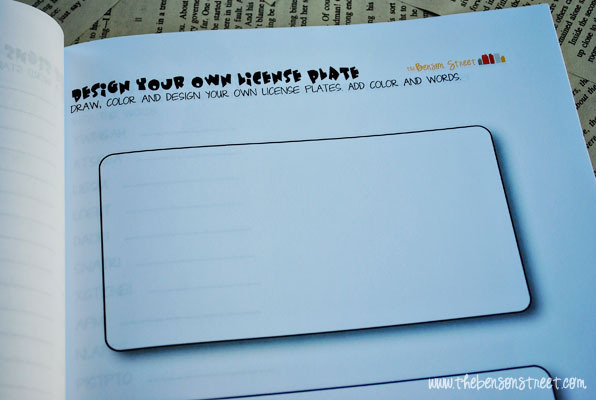 I've got you covered with this Printable Road Trip Activity Book that is great for all ages. 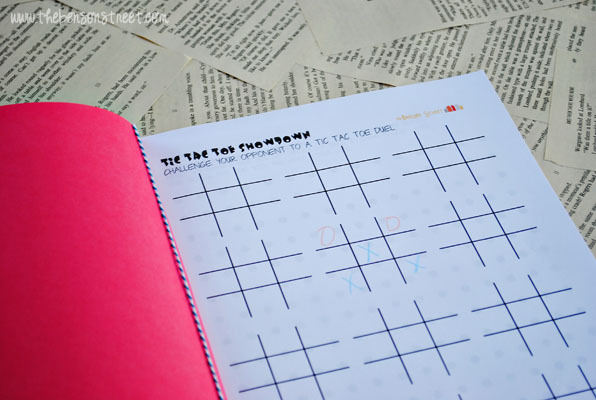 There are lots of easy games like Tic Tac Toe. Have a match up and play lots of games to declare a champion. 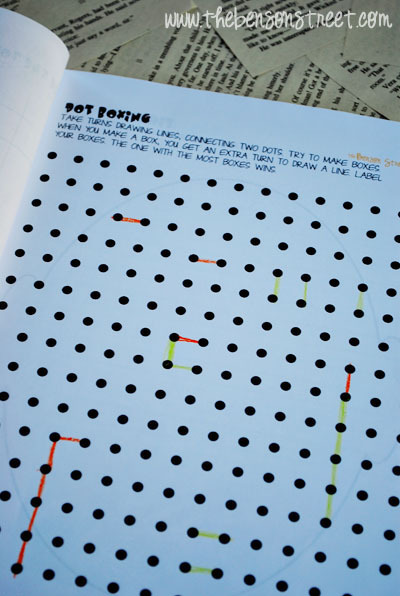 Or the ever popular dot boxing. This will keep kids busy for quite a while. Make sure they have crayons, markers, colored pencils or whatever to keep to the fun going. I love graph paper. There are so many possibilities. 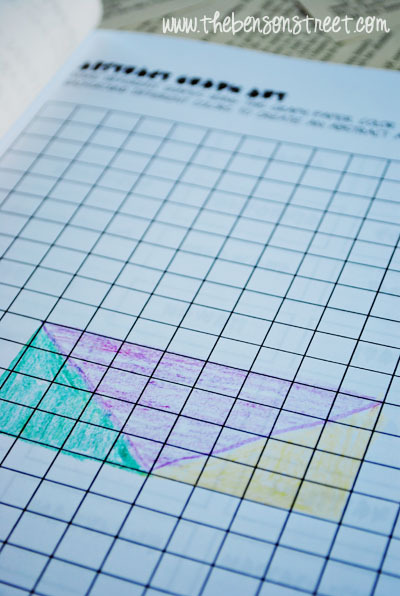 Make a maze or draw a geometric art piece. I love this one. A Pitstop collection is a place to gather different small things from the road trip journey. 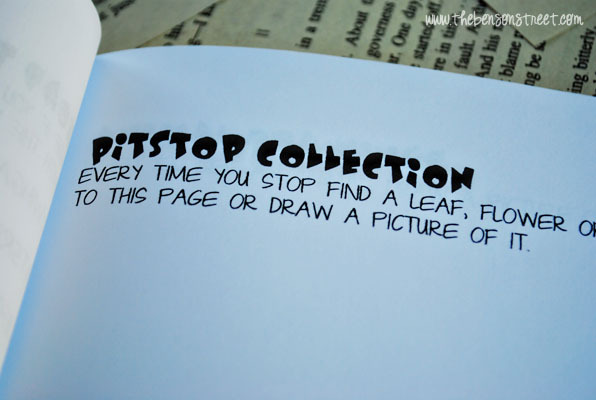 Tape them or draw pictures of your pitstops on this page on this page. After seeing lots of different license plates on the road, kids can draw their own. Add their own words and backgrounds. This is a great creative activity. 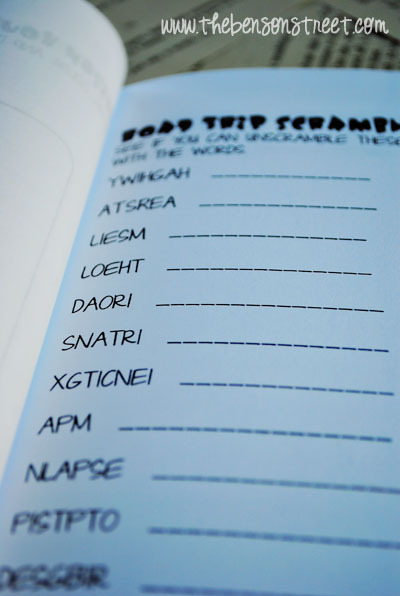 For older kids, there are lots of road trip words to unscramble. Keep their minds active with activities like this one. I love looking for license plates from different states whenever I go road tripping. 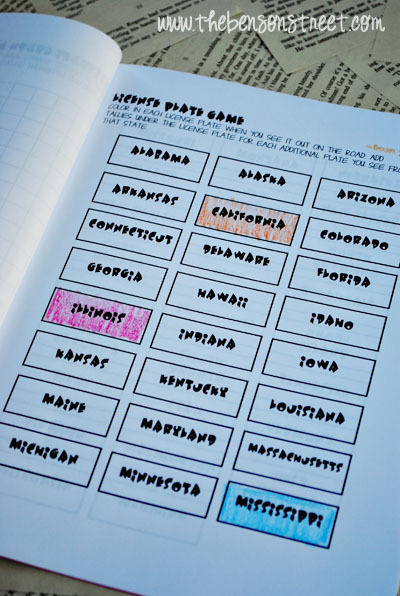 I've never kept track of all the different ones, but this printable road trip activity book has a mini license plate to keep track of each one. Just color in the plate you see and keep on searching. 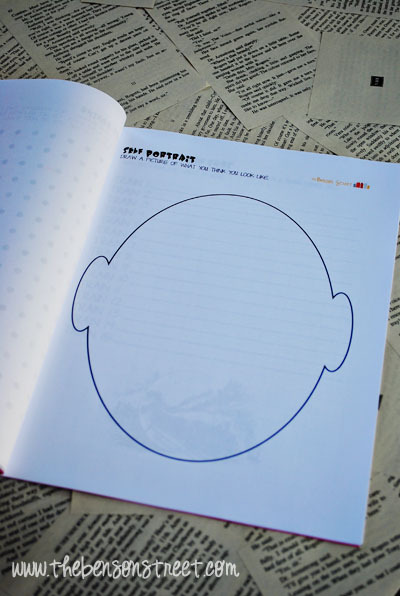 A funky fun activity for kids is to draw a self portrait. It is fun to see what they think they look like. Emily, you’re a genius! I’ll definitely be using these on our next road trip! This project & post were created for Ginger Snap Crafts by The Benson Street.